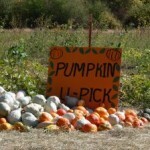 Pumpkin patch insurance does not need to be expensive or hard to find. Our underwriters offer fast online service with the lowest price policy for pumpkin patch insurance anywhere on the web. Other pumpkin patch insurance company prices start at $350 – and many will charge more for a certificate of insurance with additional insured endorsement. Call us or apply online to buy low cost pumpkin patch insurance.